Being from the Philly area, there is a small bit of rivalry between PA and NJ, so it kills me to admit that Jersey has been one of my favorite parts of the ​Appalachian Trail thus far​. 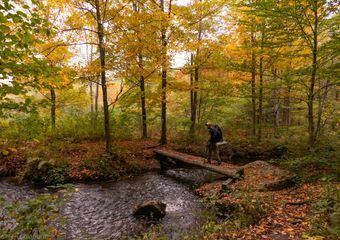 ​Rocky mountain tops, ​picturesque lakes, and beautiful pine trees make up this section of the trail​, and luckily for the large majority of us who aren’t currently on a thru-hike, Jersey has plenty of road crossing and trail heads which mak​es this 72.6-mile stretch of the AT perfect for day hikes! 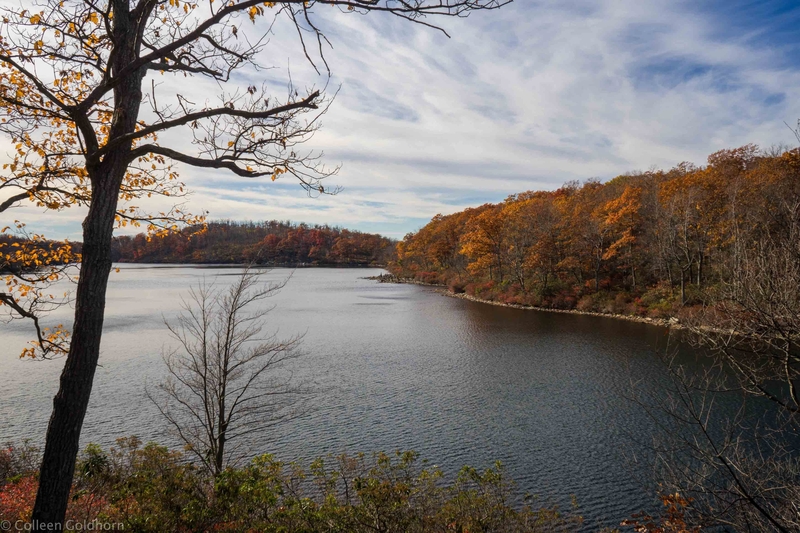 Located in Delaware Water Gap National Recreation Area, the crystal clear waters of Sunfish Pond sit secluded towards the southern border of NJ. The only way to reach this little oasis is to hike to it, which means comparability less crowds then you’ll find at your local watering holes. Although there is no swimming allowed, the lake is a perfect place to relax on a nice summer day. The AT runs right along the banks of the crisp water, and there are multiple shores and waterside cliffs for hikers to explore. Trail leading up to the lake is smooth and equally as beautiful with plenty of lush trees and babbling brooks. If you park at the Dunnfield Creek Trail Head at Delaware Water Gap, the pond is only a 4 mile northbound hike away (+4 miles back down the mountain), and it’s worth every step! One thing to be mindful of is that although the trail to the pond is smooth dirt, it is certainly not flat. You will be climbing almost the entire 4 miles to Sunfish Pond and gaining about 1,140 feet in elevation. Take your time going up, and you will enjoy an easy hike going down. 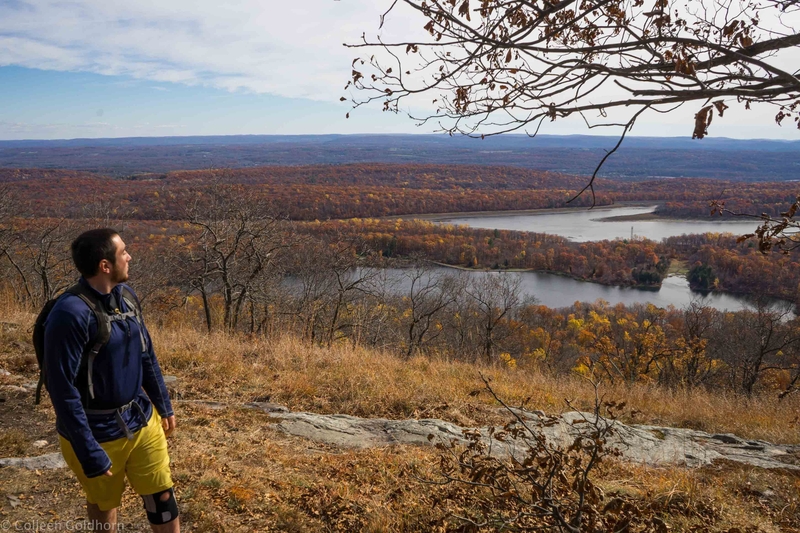 One of my personal favorite hikes in the state, Raccoon Ridge (also known as Kittatinny Mountain) follows a rocky and somewhat bare ridge line only a few miles outside of Delaware Water Gap. There are breathtaking views throughout the entire hike, but especially at the peak which offers close to a 360 degree panorama. 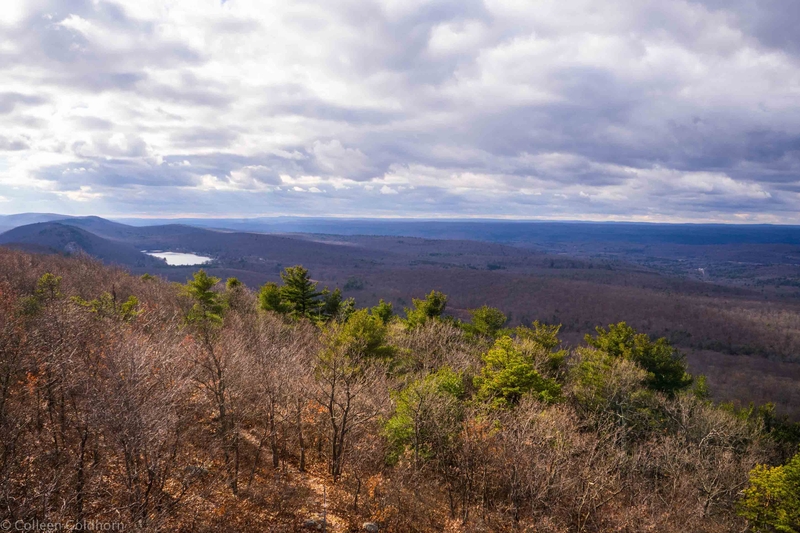 On clear days, you will be able to see the Pocono Mountains and Delaware River from the summit, and a few lakes which lay in the valley below. Many rare birds, such as Bald Eagles, are known to fly in the surrounding area making this peak popular among bird watchers. 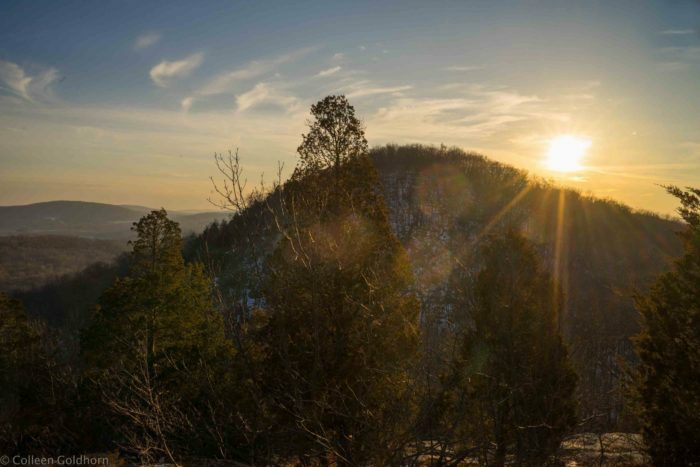 Start at the Mohican Outdoor Center, and hike southbound for 2.5 miles until you hit the peak of Raccoon Ridge, then double back down the mountain to get back to your car. (If you are really feeling adventurous, grab a pal and bring 2 cars. Park one at Dunnfield Creek Trail Head at Delaware Water Gap and the other at Mohican Outdoor Center. You will hit both Raccoon Ridge and Sunfish Pond in this absolutely stunning 9 mile hike). Being one of the highest points in the state, the view from sunrise mountain is definitely worth the climb. 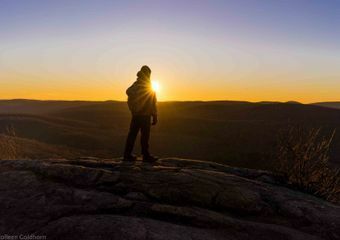 There is a stone pavilion at the top which offers benches to rest and enjoy the scenery, as well as fantastic views of the Pocono Mountains, Wawayanda Mountain, and High Point Monument from the summit. 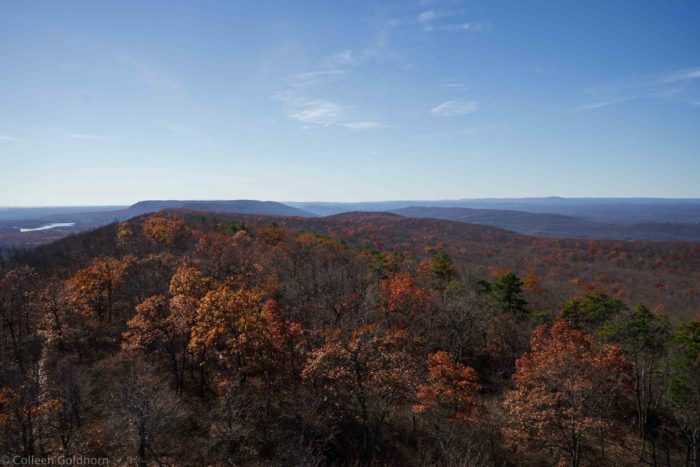 The Culver Fire Tower is also 3.5 miles south, which also offers fine views and is the perfect stop for a mid hike break! There are multiple options for this hike depending on how long you want to stay out and what you want to see! Option 1 is to park at the top of the mountain. The lot is .2 miles north from the summit for those who want to start their hike at sunrise to see just how this mountain got it’s name. Option 2 is to park at Sunrise Mountain Road and hike northbound for 4.9 miles up the mountain (+4.9 miles back down). This hike not only allows you to see the summit at Sunrise Mountain, but also see views from the Culver Fire Tower along the way. 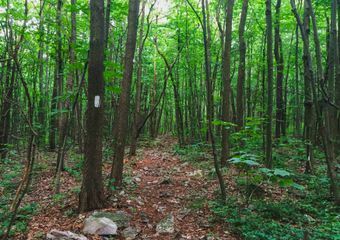 Option 3 is to park at the Deckertown Turnpike, and hike southbound for 3.6 miles to the summit (+3.6 miles back down). The Catfish Firetower offers one of the best views along the AT in Jersey! On a clear day, you can see all the way to the Catskill Mountains of New York from the top of the tower, in addition to the 360 views on each side. The hike to the tower is also full of multiple view points and rock ledges along the way making the hike along the easy ridge line really exciting. This is an active fire tower, so depending on the day, the tower may not be open to visitors. However, certain rangers allow hikers to climb to the top, walk around inside the cabin, which is an amazing experience! I suggest hiking the 2.4 northbound miles to the tower, and going north for another .5 miles down the mountain until you intersect the Rattlesnake Swamp Trail. 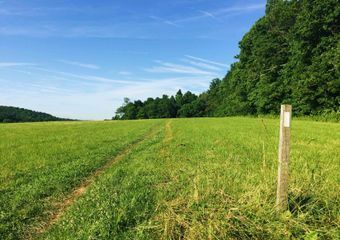 This trail is about 3 miles, takes you right back to the Mohican Outdoor Center, and makes the perfect loop for about a 6 mile round trip. For a somewhat shorter hike, travel northbound for 2.4 miles and double back for a 4.8 mile round trip! Jersey has more boardwalks than the ones you find at the shore! The Pochunk boardwalk makes it easy to hike straight through the Jersey swamp lands, and features a suspension bridge as well as some really unique views of Vernon Valley. Follow the boardwalk until you cross the pastures and are dumped at the base of a mountain nicknamed the “Stairway to Heaven” or “Pinwheels Vista”. Although this climb is extremely challenging, the top features amazing views of the valley you just hiked through and the surrounding area. Altogether, this hike is 3.7 miles to the top of the mountain (+3.7 miles back to your car) making this a nice 7.4 mile round trip with lots of scenery changes and easy hiking.The climb to the top is challenging as you will be climbing up very steep sections of trail and over boulders, however the boardwalk section is extremely easy so they balance out! 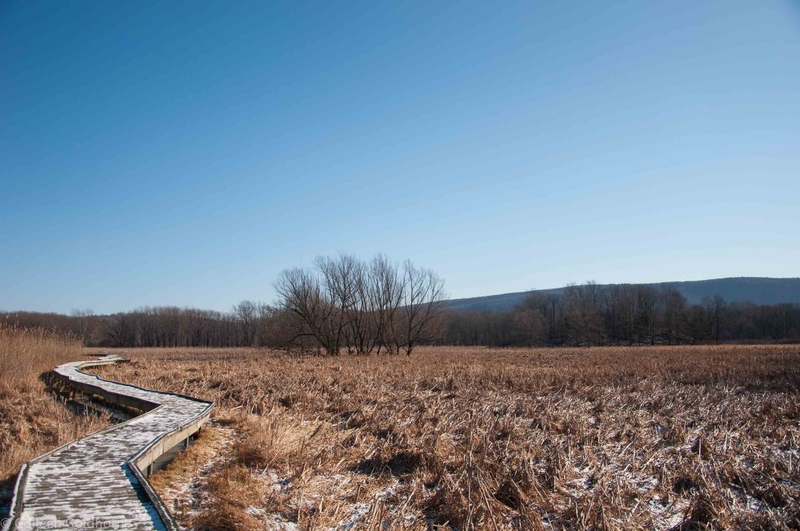 For a shorter option park on NJ Route 94, which is the base of the mountain. You will be hiking the most challenging section of the hike, but will be only 1.3 miles from the summit (+1.3 back down). 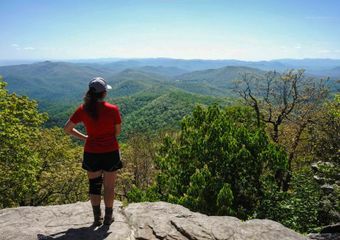 Looking for more Appalachian Trail day hikes? 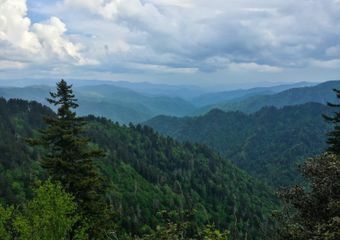 I will be writing a list of day hikes along the AT for each state I have completed, giving you plenty of new reasons to get outside and hit the trail – stay tuned! For those you who have been following my journey: Yes, this means I have crossed another state off my list! I may have had to stop my thru hike a little early but as I said, that certainly does not mean that I have given up on the AT. These past few weeks I have been hitting the trail almost every weekend and checking off a couple miles of NJ at a time. After 8 separate trips I am proud to tell you all that I have officially hiked the entire state of New Jersey on the Appalachian Trail! It may seem like a small accomplishment considering only 72.6 miles of trail are located in the state, but I am so thrilled that I am fortunate enough to keep checking off pieces of the trail one hike at a time. I can’t thank everyone enough for their continued support as I very slowly but surely keep making my way up the east coast!